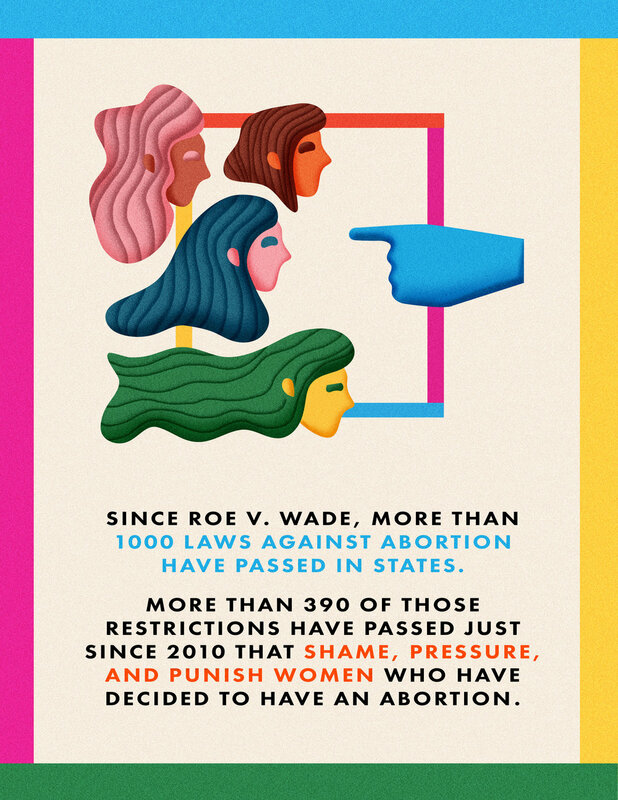 I teamed up with the lovely people at Rally & Rise to create a series of posters to show statistics and facts about abortion at one of their fund raising events. Rally & Rise is a grassroots group committed to making New York a progressive haven—all while redefining what it means to be an activist. It was a lovely opportunity to collaborate with a group of people who are constantly rallying and advocating for womens rights.